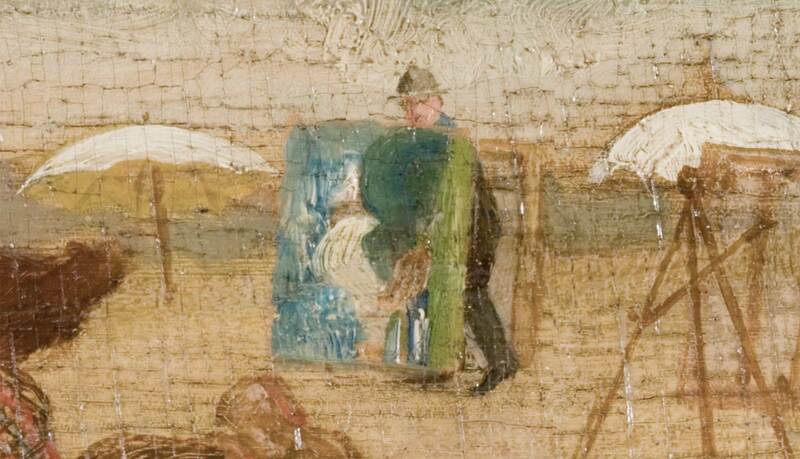 Edward Rook is portrayed in The Fox Chase as a small figure in the background, obscured by an enormous canvas and unwilling to chase along with the others. These characteristics are all somewhat true. 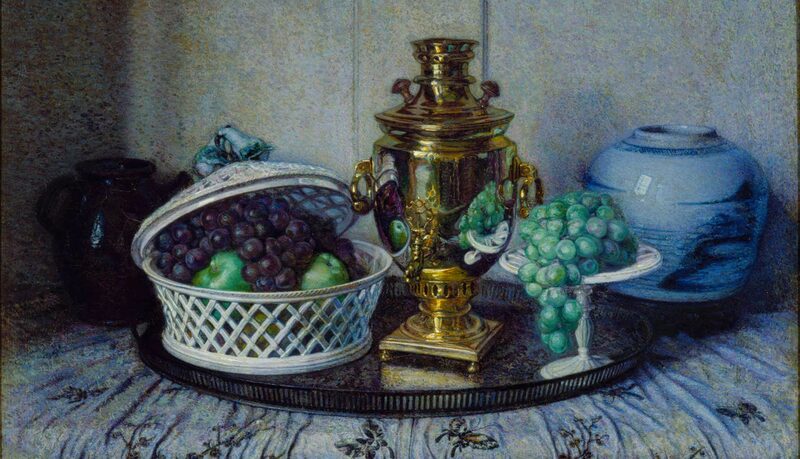 Although he was awarded prizes throughout his artistic career (he received a Bronze medal at the Pan-American Exposition in Buffalo in 1902), he kept a low profile as an artist. He did not follow the normal route of becoming a recognized artist. Rook came from a wealthy family and he did not need to sell his art to make a living. He would often price his paintings too high for the market. He did not have an art dealer and never had a one-man exhibition. He did, however, paint large beautiful paintings. Rook arrived in Old Lyme in 1903, the year that Childe Hassam is credited with introducing the impressionistic style to the art colony. Rook became an impassioned Impressionist painter, who enjoyed painting the same subject multiple times (as Monet did with haystacks and Rouen Cathedral). 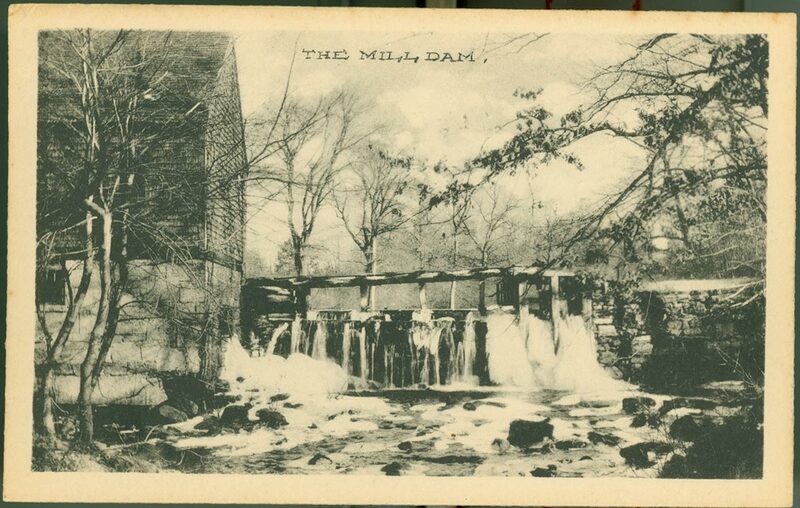 For Rook, it was the abandoned Bradbury’s Mill, an Old Lyme landmark a mile or so north of the boardinghouse. You have to die to win when you are an artist. 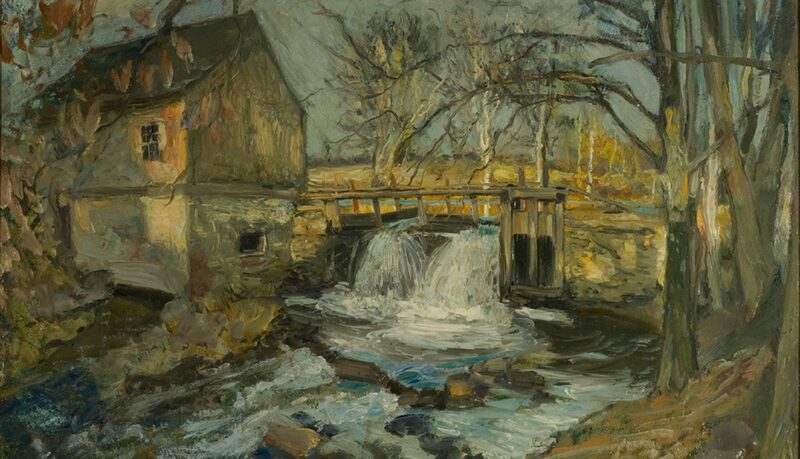 Between 1905 and 1917 Rook is credited with painting at least eight versions of the rustic mill. 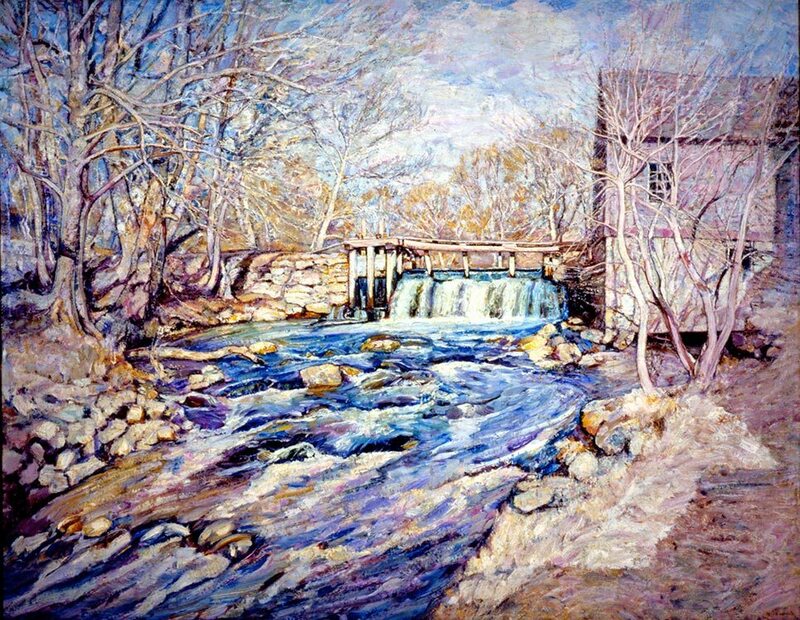 He painted Bradbury’s Mill Dam around 1905 and dedicated it to Miss Florence in lieu of a panel in the dining room which he considered déclassé and beneath a man of his talents. The painting hung over the fireplace in the parlor during the art colony years. 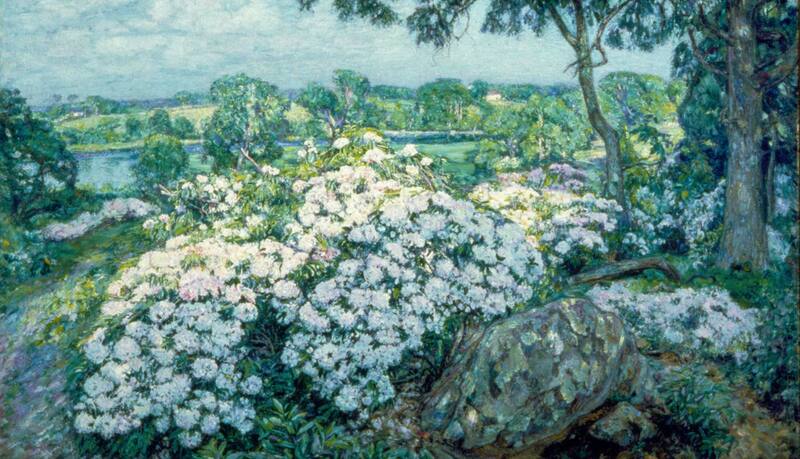 Rook was also famous for his paintings of mountain laurel, Connecticut’s State Flower. Although clearly talented, Rook was a notoriously slow painter and would often not finish his paintings before the mountain laurel began to fade. It is believed that when faced with this dilemma, he would attach balls of cotton to the bushes to complete his painting. The artist explained that he had painted on that canvas for a year before he completed it to his liking, during which time his wife made many a journey to New York to replenish his supply of Belgian and Muscat grapes. The Rooks stayed in the boardinghouse with Miss Florence during 1903 and 1904. They moved permanently to Old Lyme in 1905, but continued to maintain a New York address as well. By 1924, he completed a house in Old Lyme designed to showcase his love of automobiles. Although he never learned to drive, Rook had a collection of three cars, including a Hupmobile and a Locomobile. The garage was in the center of the house, and Rook was known to raise the hoods and spotlight the engines, which he admired for their beauty.